On a day blessed with glorious sunshine and a very FAST Everest Cricket Club outfield, the home team Masters made light work of their counterpart from the P.Y.O. 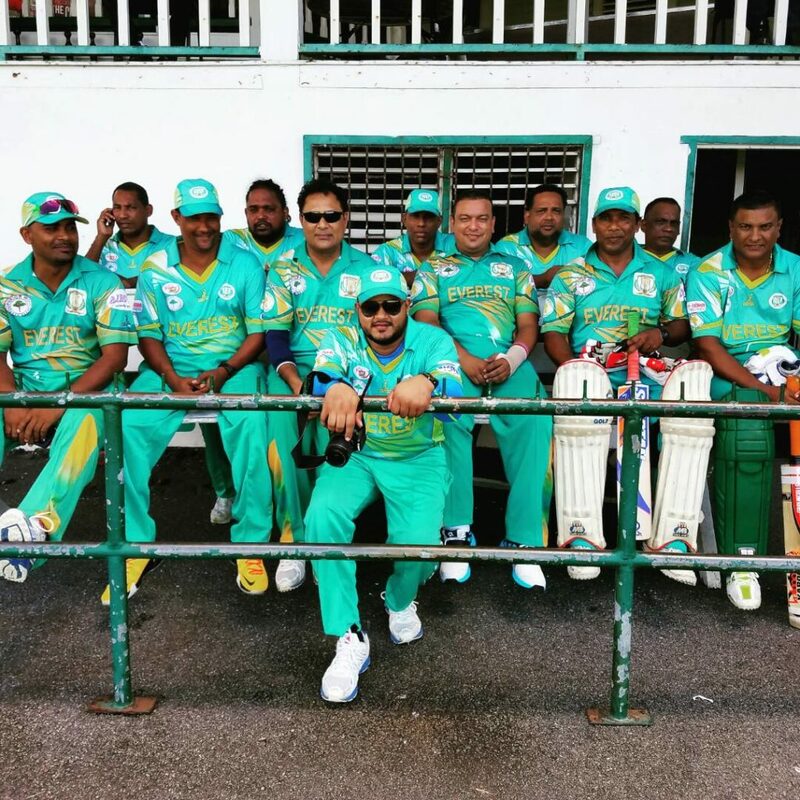 Masters of Trinidad and Tobago. 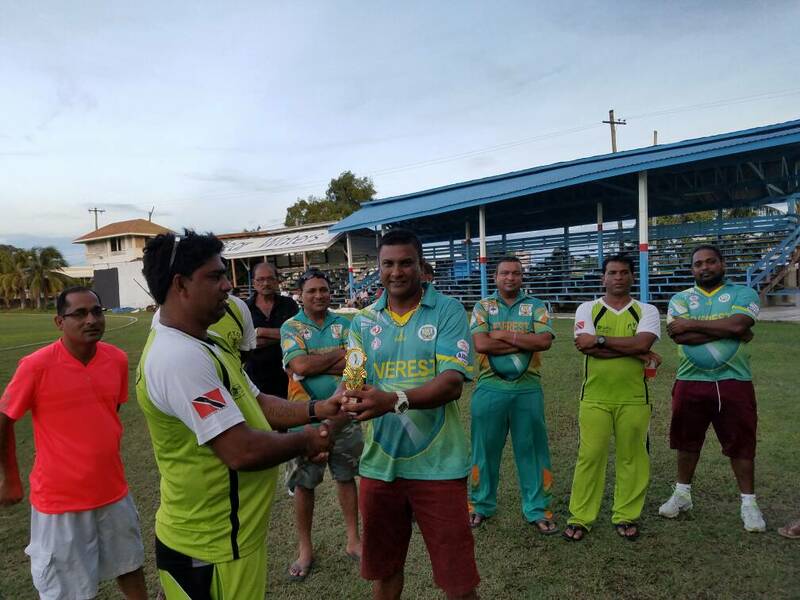 Winning the toss and batting first the Everest masters openers scorched the out field and their opponents from the very start of their innings posting 277 for 1 off of their 25 overs. 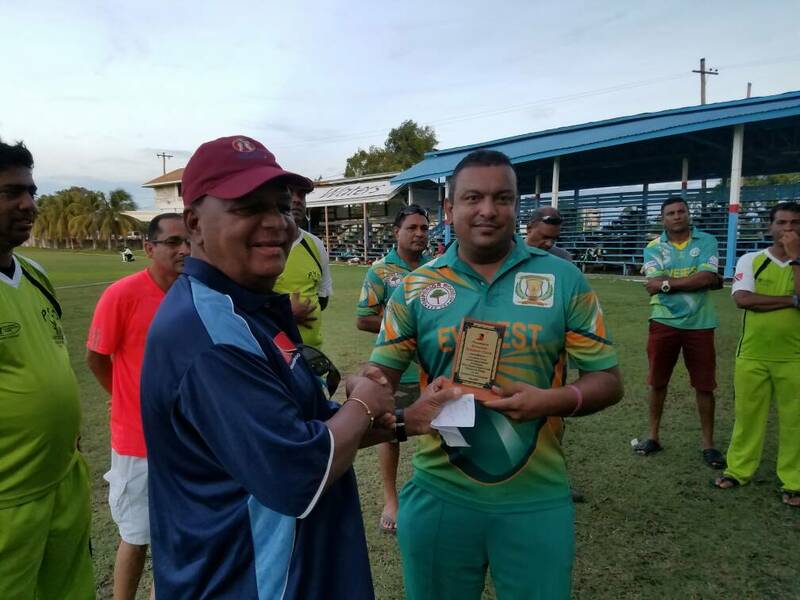 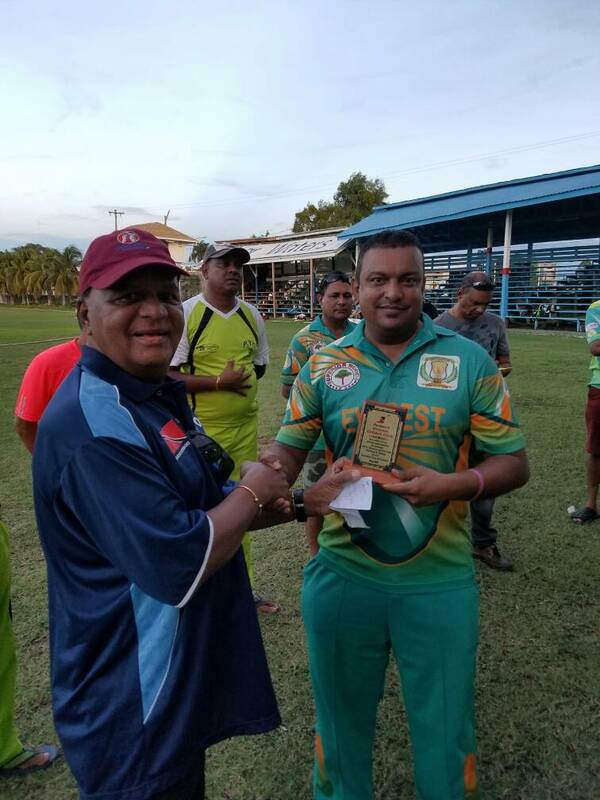 Basil Persaud scoring 101 retired hurt, while Sahadeo Hardaiow scored an even 100 the pair putting together 190 for the opening stand, smashing 11 sixes and 12 fours in total. 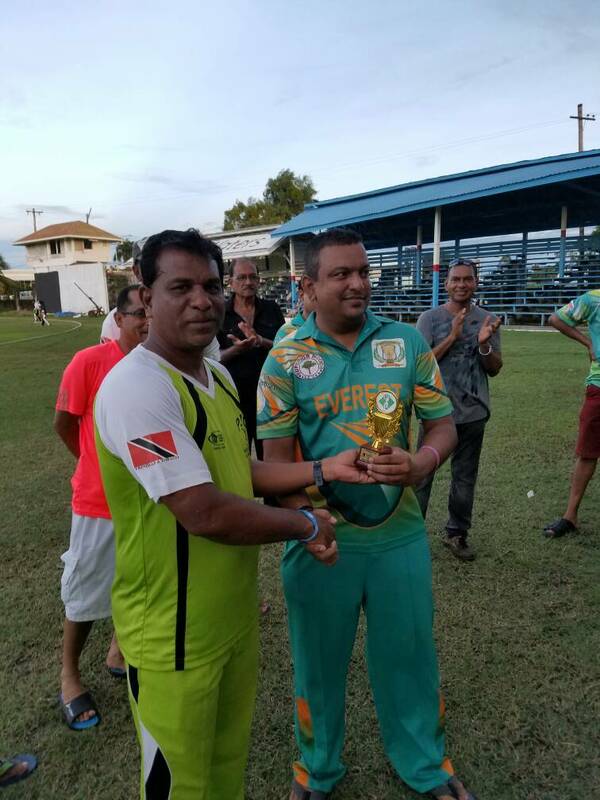 Hemraj Garbarran scored 37 not out with 2 sixes and 4 fours and Saheed Mohamed scoring 19 with 3 fours both undefeated. 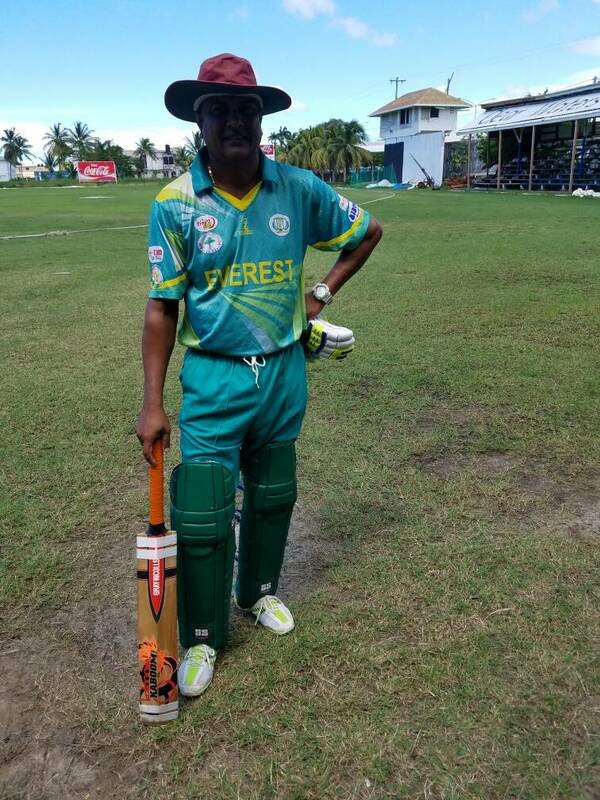 P.Y.O. 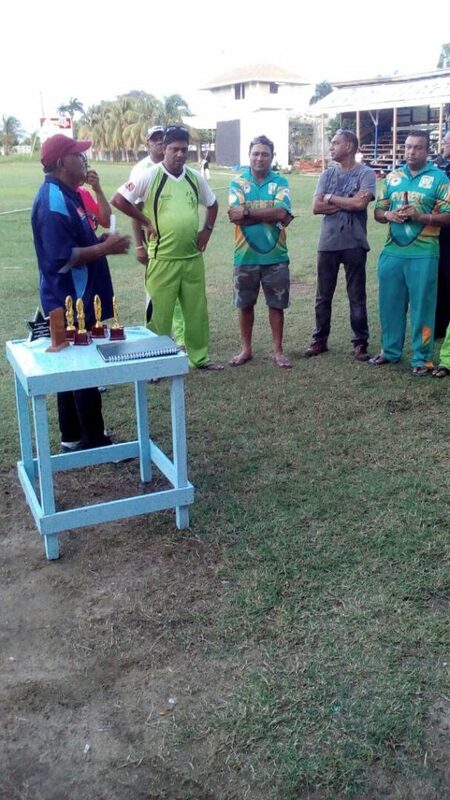 Masters in reply reached 154 for 4 loosing by one hundred and twenty three runs. 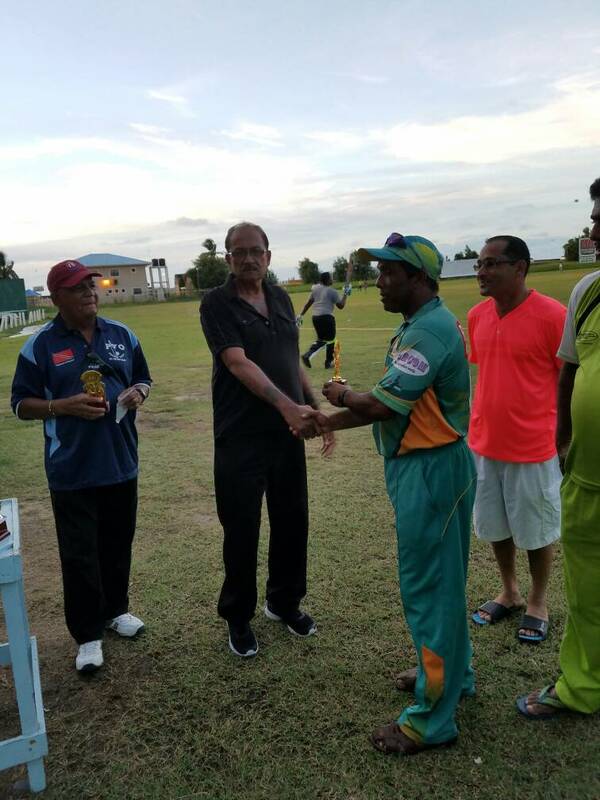 Asif Ishack led the way with 53 not out while Bobby Khali scored 32. 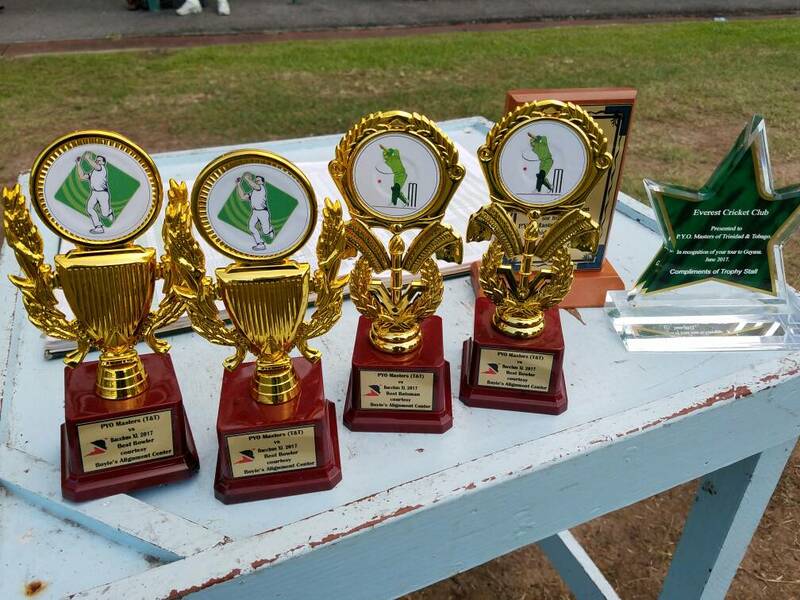 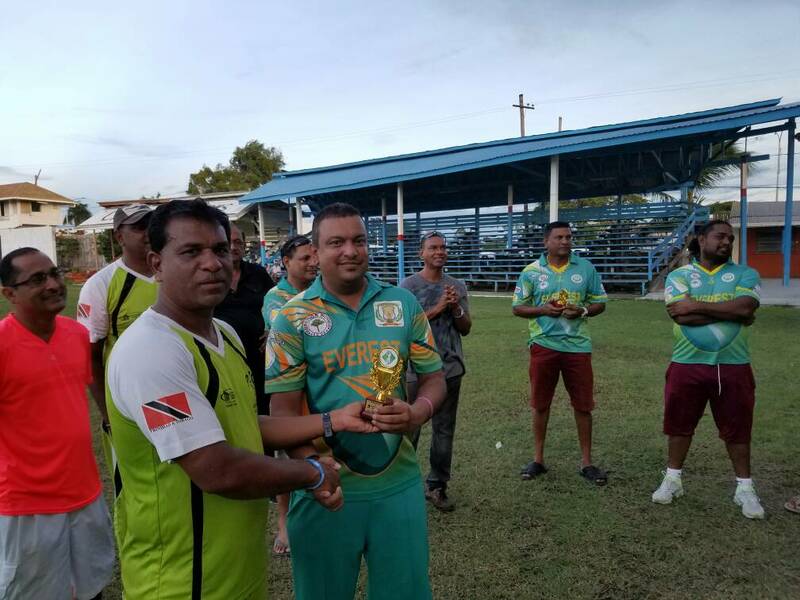 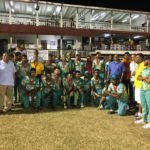 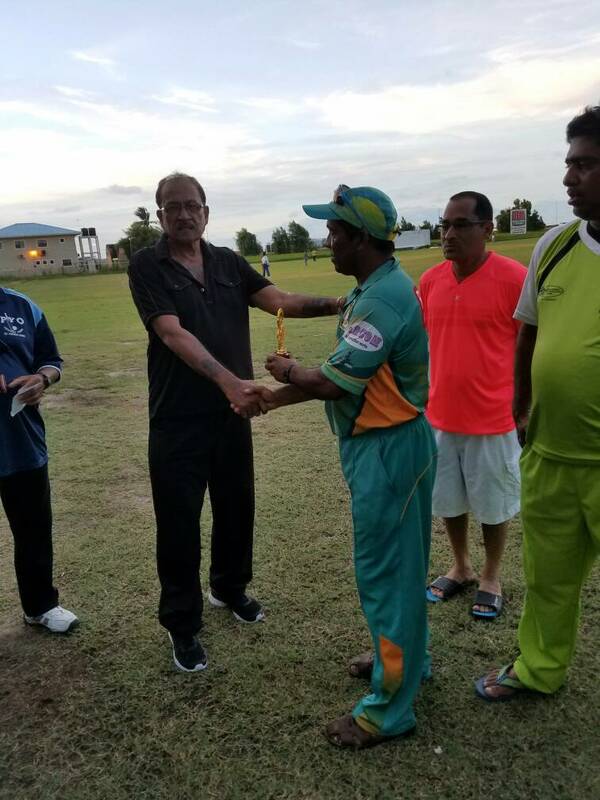 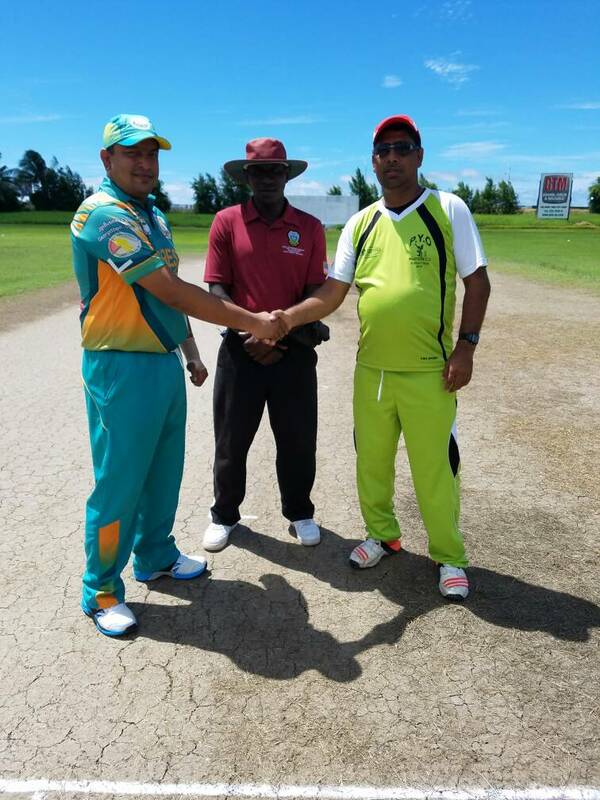 This was the final game for the team from Trinidad on their one week tour to Guyana. 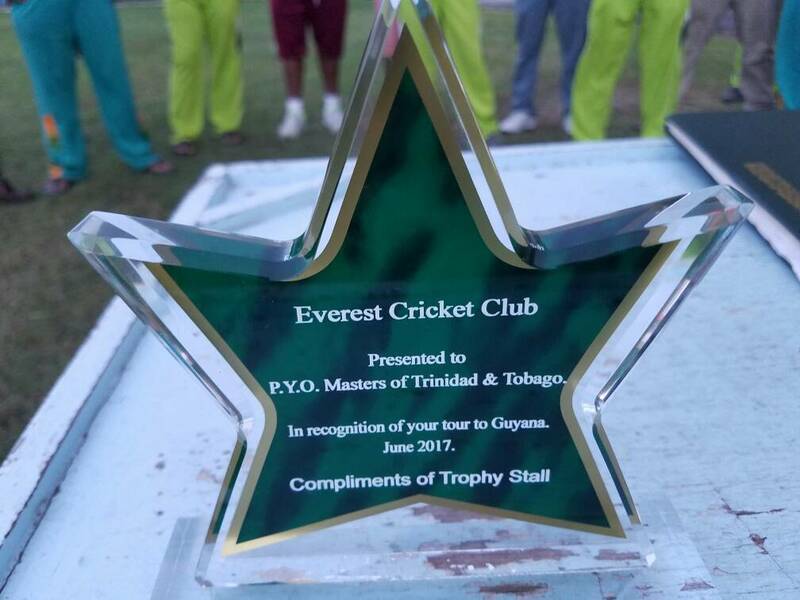 Everest in return presented the Manager of the PYO team with a Plaque in recognition of their visit to the club compliments of The Trophy Stall.